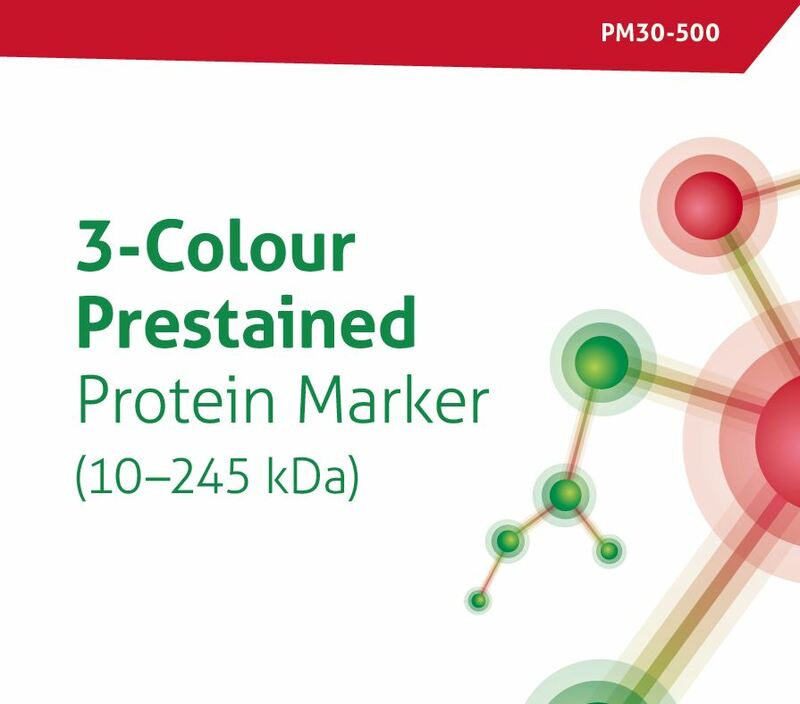 The 3-Colour Prestained Protein Marker is a mixture of twelve pre-stained proteins minutely selected to facilitate protein molecular weight estimation across a wide range, from 10 to 245 kDa. 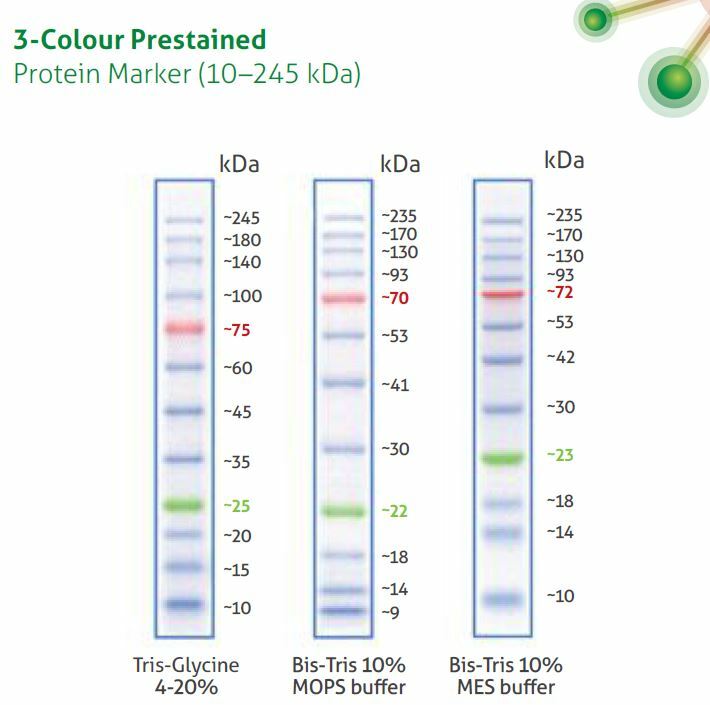 Proteins are covalently coupled with different colour dyes (green: 25 kDa, red: 75 kDa and blue: 10, 15, 20, 35, 45, 60, 100, 140, 180, 245 kDa). 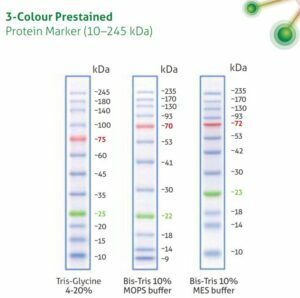 The 3-Colour Prestained Protein Marker can be used for monitoring protein separation by SDS-PAGE and for verifying a transfer efficiency onto PVDF, nylon or nitrocellulose membranes (Western transfer), as well as for protein size estimation. 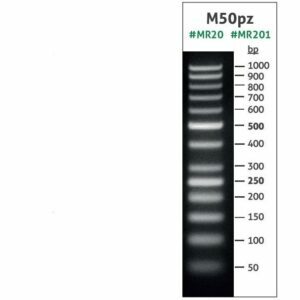 The Protein Marker is ready to use and requires no special preparation before application to the wells in a polyacrylamide gel. 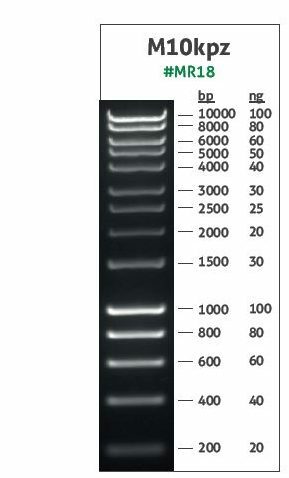 0.1–0.4 mg/ml of each protein suspended in the appropriate buffer; 20 mM Trisphosphate (pH 7.5), 2% SDS, 0.2 mM DTT, 3.6 M urea and 15% (v/v) glycerol. 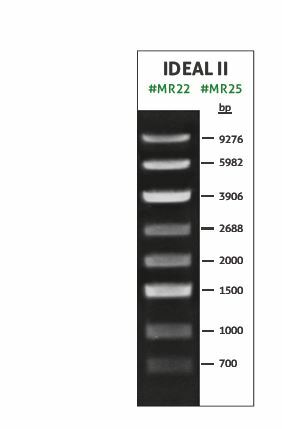 Prior to use, thaw the Protein Marker either at room temperature or at 37°C for a few minutes to dissolve precipitated solids, then mix thoroughly. 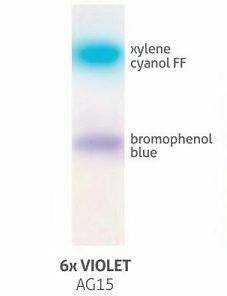 Do not boil before loading! 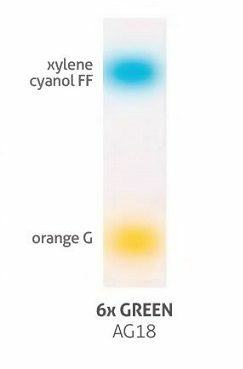 The low molecular weight proteins in the Protein Marker may migrate with the same electrophoretic speed as a loading dye used in lowpercent concentration gels (< 10%). 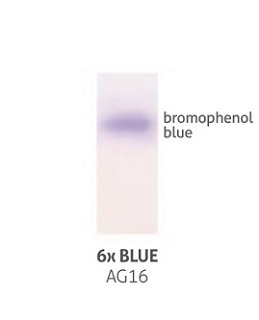 The high molecular weight proteins in the Marker (> 100 kDa) may require a higher voltage or longer transfer time during Western Blotting. 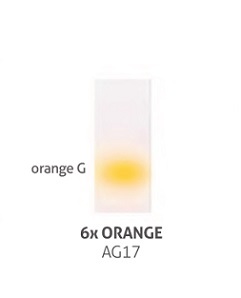 Keep at 2-8°C for short-term (up to 3 months) or at -20°C for long-termstorage. 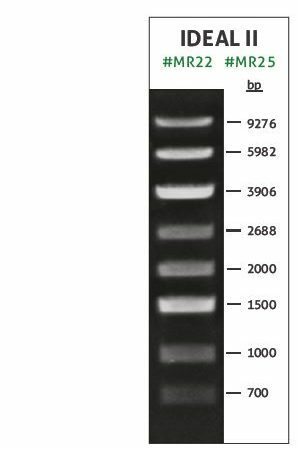 The Protein Marker has been tested in SDS-PAGE electrophoresis and Western blotting.